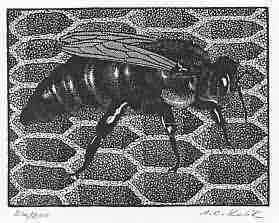 The Queen Bee engraving was one of 3 of my Engravings included in Engravers Globe edited by Simon Brett. Printed in an edition of 200. Image size is 4"x3" Mat size is 9"x10"